I have been a Brisbane Wedding Photographer for 10 years. Our great little city has been very good to me and I can’t imagine not photographing weddings here for the rest of my career. BrisVegas has so much to offer photographically: GOMA, Powerhouse, Roma Street Parklands, New Farm Park, the City Botanic Gardens, the Botanic Gardens at Mount Coot-tha, Teneriffe, QUT, UQ, Brisbane River, Kangaroo Point, the Mall, the Story Bridge, etc, etc, etc. There are also lots of beautiful chapels and churches, as well as a couple of amazing cathedrals. As well as having lots of options location-wise, the weather is great! For couples who prefer a fine sunny day, the odds are firmly stacked in their favour here. Sure it rains (which never puts me off), but as far as bitterly cold wet days go, Brisbane doesn’t see too many of those. 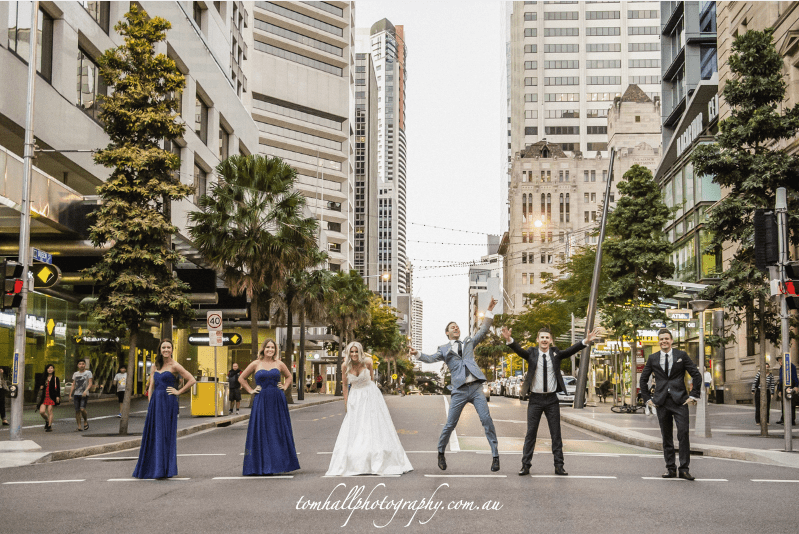 Brisbane has a real buzz about it and the wedding industry here is alive and well. If you’re keen to see a wedding all you need to do is walk around the key locations I mentioned above after 4pm and you’ll be sure to spot a few. I get really inspired by my city. It’s my hometown. It’s where I grew up and it holds a very special place in my heart.